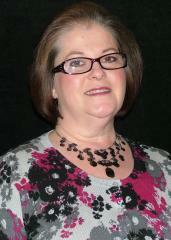 Barbara joined GSI in 2014 assuming the role of Accounts Receivable and Administrative Assistant. She currently handles all administrative duties supporting not only the CEO, President and Vice President, but also the entire Project Management team. She does Billing, Insurance certificates and Waivers for all GSI projects. Prior to joining GSI, Barbara managed an office in the construction field, specializing in customer service and billing. Outside of GSI, Barbara enjoys camping and spending time outdoors.